We would like to thank you for submitting your abstract for the NCK days! We have made our selection for the oral presentations and have created a nice programme. The NCK days will be held on 17-18 March 2016 at Inspiration Center Grevelingen on the Brouwersdam in the Netherlands. An Open Earth Sprint Session and the ice breaker will take place the day before. The location for the icebreaker is Beach pavilion Brouw (address: Brouwersdam Buitenzijde 20, Beach entrance 15, North Sea Side, Ouddorp). The Open Earth sprint session will take place at Inspiration Center Grevelingen (address: Brouwersdam binnenzijde 25, 3253 MK Ouddorp). For more information (programme, fees, overnight stays), go to the event page. We look forward to welcoming you at NCK2016! The subject of the upcoming NCK theme day is 'Knowledge development for Coastal Management and Maintenance (Kustlijnzorg)'. Nourishments are an important strategy to preserve the Dutch coastline in a dynamic way. Deltares collaborates with Rijkswaterstaat to develop knowledge needed to carry out an effective nourishment strategy. This collaboration focusses on understanding the (large scale) coastal system behaviour, in order to explain local (erosion) phenomena and define adequate management solutions. How would/should the Wadden Sea look like in the future? How would we design the Delta Works with knowledge of today? 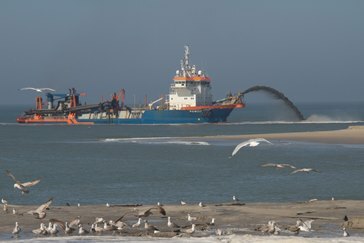 What are the effects of large scale maintenance with sand on the coast on the long term? Will the Wadden Sea survive a sea level rise? In total 11,700 questions were submitted and confined to a research agenda. 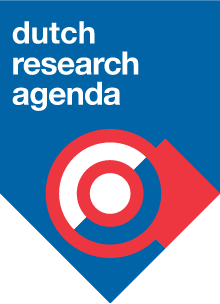 The website of the Dutch National Research Agenda gives more information about this process. The 140 final questions are listed on the Dutch website.